Welcome to the support resource for your Gigaset QuickSync - Mac Version. On this page you will find answers to frequently asked questions. Manuals as well as software and firmware are available for download. You will also find video tutorials, which will help you to get started. Should your device have a defect, you can register your Gigaset QuickSync - Mac Version for repair. Furthermore you will find accessories for your Gigaset QuickSync - Mac Version. If you're looking for products matching your Gigaset QuickSync - Mac Version, have a look at our compatibility database. You can also find out how to register your Gigaset QuickSync - Mac Version with other devices. You have questions regarding your Gigaset product? Here you will find answers. Is also a Gigaset Quick Sync version for MacOS available and where can I download it? Yes, with the Gigaset QuickSync software you can easily synchronize your contacts on your Macintosh with your Gigaset. 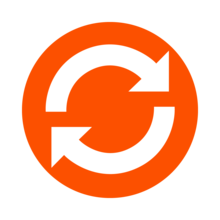 You can download the newest version from the QuickSync download site. Which Gigasets are supported by the Gigaset QuickSync for MacOS? Only handsets featuring western or central European, Cyrillic, Greek or Turkish character sets are supported. The character set used on your handset must correspond with the system language settings on your Mac. The handset software cannot be updated with firmware. What are the system requirements of Gigaset QuickSync for MacOS? I get the message that the firmware of the Gigaset handset is too old. How can I update the phone? With the Gigaset SL910, the firmware can be updated on the Mac. To do so, the phone must be connected via a USB cable, and the option "Automatically check for firmware updates" must be activated under "QuickSync / Settings" in the Mac menu bar. Gigaset QuickSync then automatically checks for new firmware versions over the Internet, and offers them for download and a firmware update. Follow the program instructions to install the firmware update. After installing the QuickSync on a PC with a supported Windows operating system (Microsoft ® Windows ® XP, Windows ® Vista (32bit and 64bit) and Windows 7 ® (32bit and 64bit)) you can update the firmware of the handset. Please note that your handset must be connected via USB cable to the PC. A firmware update via Bluetooth connection is not possible. How can I dial phone numbers from the contact data on the Mac? The Gigaset establishes a connection with the selected phone number. Why I am unable to connect a phone using the installed Gigaset QuickSync wizard ? Check that the USB cable is connected correctly and try again. Make sure that Bluetooth is activated on the handset and the Mac. What can I do, if the device communication between the Mac and the handset is (constantly) aborting? Place the handset in idle status (press and hold the end call key) and restart the process. Why Contacts are duplicated during the synchronization process? This can occur if the data synchronization direction is changed with every synchronization or if a communication error occurred when connecting to the handset. The handset is connected via bluetooth and appears in the list of known handsets, but is marked as being unavailable (red dot). What can I do? How can I uninstall the Gigaset QuickSync? To uninstall Gigaset QuickSync, please open the "Programs" folder. Gigaset QuickSync has now been deleted from your Mac. How can I change the device name in Gigaset QuickSync? Please establish the connection between Gigaset QuickSync and the Gigaset device. Click on the device name below the product picture of the Gigaset. How can I dial phone numbers from other applications (e.g. Mac addressbook, Safari)? Select the menu option "Services" and then "QuickSync: dial with ..."
There are plugins still on the PC after the de-installation of QuickSync. How can I remove these? Please open the folder MacintoshHD -> User -> USERNAME -> Library -> Services and delete the file „QuickSyncServices.serice“. Afterwards please empty also the Trash of your Mac. How can I create a backup of the Gigaset contacts? How can I remove duplicate contacts from the handset? Switch to the contact list and click "Refresh from phone"
Why I cannot synchronize contacts with Gigaset QuickSync for MacOS? Contacts in the Mac Address Book that are not stored locally on the Mac, but are active in the Apple iCloud, cannot be synchronized. In this case, transfer the contacts to the phone manually or disable iCloud temporary in order to sync with the Gigaset QuickSync. If a message of "keep copy of local contacts" appears, then click "keep contacts". Now the contacts and groups will be available to sync with Sync Services and the Gigaset QuickSync software. Click on the "Update with phone" icon to transfer the new contacts to the phone. Why I always receive an error message when you I try to access handset data via bluetooth connection? How can I download and delele files from the Gigaset phone with QuickSync? How can I transfer ringtones to the phone with Gigaset QuickSync for MacOS? How can I transfer screensavers and caller ID images from the Mac to the Gigaset? Get manuals or software updates for your Gigaset product. Please contact our Customer Services for personal assistance.